For their single storey, four-bedroom home, Andrea Bell-Booth and her partner were looking for a more solid alternative to traditional timber framing and brick veneer cladding. They particularly wanted something that would reduce the transmission of noise from neighbours. Eventually it was the ICF system that caught their eyes, offering both thermal and soundproofing in one solution. The structural integrity of solid concrete walling also gave them the flexibility to add another storey in the future, as well as alter the internal fit-out whenever they wanted. “As we used ICF for all external walls and conventional insulated timber walls internally, we now have total flexibility in re-arranging our ground floor to suit an expansion upwards,” Andrea says. The home was completed over an 11 to 12 week period between November 2013 and March 2014. 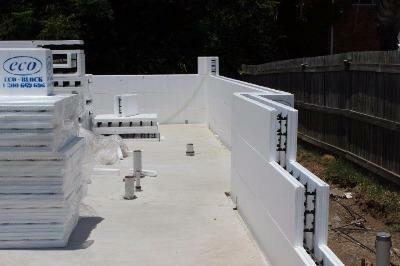 Andrea thinks the ICF system is faster and more straight-forward than conventional construction methods. “Once the blocks are assembled, it is not as labour intensive. In our case, it was only a matter of days for the concrete to be poured and the rest of the house to be built,” she says. 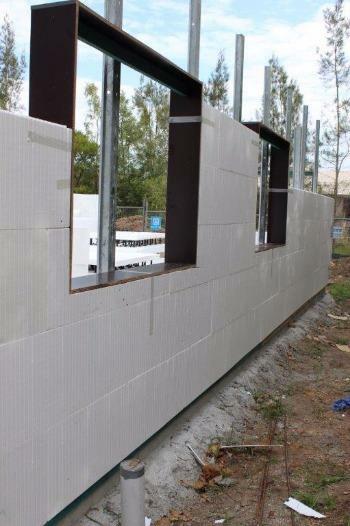 The ICF system used on Andrea’s home was supplied by Queensland ICF. Director, Frank Baarspul, says if builders are using the system for the first time, it’s important to have effective technical support from the supplier, including initial onsite training and support as required during the stages of the building process. For Andrea, the system has the potential to deliver real cost savings and provide practical benefits for homeowners, particularly when it comes to reducing the noise that is otherwise part and parcel of living in increasingly densified suburbs. 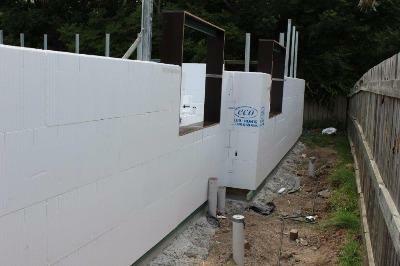 “There is a pre-conception that using ICFs is so much more difficult and adds to the labour cost,” Andrea says. “However, once onsite we had nothing but positive feedback (from the sub-contractors), as they only needed a cutter knife and were quickly finished. “Once skilled up, it should be a very fast and straight forward building process, which in turn has cost savings.” Andrea and her family are delighted with their new home. As with any building material or solution, it’s important to understand the principles of passive solar design to maximise the thermal performance of the ICF system. This includes having sufficiently wide eaves that shade the external walls during summer and do the reverse in winter (when the sun is lower on the horizon); and providing adequate ventilation to allow heat to escape during summer.